My 11 yr old granddaughter chose The Firehouse Inn as her birthday destination. We made it a “girls outing”. It was spotless and charming. There was a little mix up in the number in our party so had two extra for breakfast. Our cook graciously took it all in stride. Will be going back ASAP. This is an Amazing place to stay in beautiful Rutherfordton North Carolina. The first "Gold Rush" happened right here! 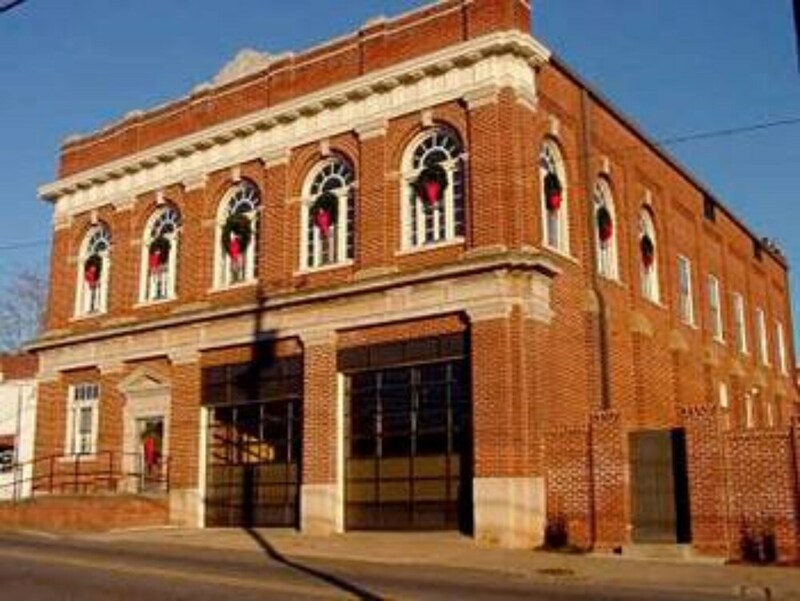 The Historic Firehouse Inn is right in the middle of town and walking distance to many restaurants, stores breweries and wonderful downtown Rutherfordton. Our family recently stayed at this amazing inn during the holiday season. We rented the entire B&B since there was several family members staying from out of town. We ALL were blown away by the hospitality of each staff member we met. There was nothing we could have ever wanted for...every possible need was thought of BEFORE we even got there!!!! Every room is roomy and comfy! The decor is dreamy, and although it looks like you are walking through the pages of a magazine, you still feel very comfortable like you are in a friends home. The rooms accommodate different needs so we were able to choose what best worked for us and many came with gas fireplaces so that was just HEAVEN!!!! The large great room accommodates large groups and that was where we gathered for breakfast. A hot breakfast was prepared each morning. It was very good! As available to us, anytime we wanted was coffee, juice, water, ceral, baked goods, soda, etc. The Firehouse Inn truly is AMAZING! We have already booked it for our family reunion this summer and again next Christmas!!!! I stayed here for the weekend for my friend's wedding and The Firehouse Inn was perfect for the occasion. Everyone was personal and sweet and the rooms are amazing. The chef in the morning for breakfast is so nice and accommodating. We really had a wonderful time here and I would highly recommend to anyone wanting a peaceful get-away! The Firehouse Inn was our first choice for accommodations for our school's visiting reaccreditation team.We were aiming to impress,and the Firehouse Inn totally accomplished that. The team members said Never had they had more wonderful rooms, a more delicious breakfast or more pleasing people to anticipate and meet their every need. Whatever your reason for needing a place to stay in the vicinity of Rutherfordton.....choosing the Firehouse Inn will not disappoint.....totally 5 stars!!! The Firehouse Inn is beautiful and don't worry about privacy. The rooms are quiet and the in suite bathrooms are luxury level. Breakfast is great and the staff is pleasant. There is plenty of room to sit and read quietly and there is a small downtown area for grabbing a bite and a little shopping. Some places are closed on Mondays. I needed a place to stay for a long weekend during the World Equestrian Games but entered the wrong dates when booking through Expedia. When I called on a Thursday afternoon to let them know I would be getting in late, the owner answered the phone and said that she did not have any record of my reservation but that they had had a recent cancellation and for me to come on anyway...she would leave a key outside. The people at the Firehouse Inn are like your favorite neighbors...friendly, accommodating and understanding. I can't express enough how impressed I was with their efforts to make me feel welcome. I highly recommend them and hope to stay there again in the future. We had the Jacuzzi suite and it was phenomenal. The room is simply gorgeous. The king size bed is heavenly and the linens are very nice as well. Plenty of closet space and nice robe and slippers were provided. The jacuzzi is huge. The shower is wonderful also. Very nice soaps and shampoo is also available. The common area is so beautiful and there is a lot of nice snacks available, drinks, Keurig coffees/teas. We just loved our stay and cannot wait to come back to visit. The Firehouse Inn places you within a 10-minute drive of Bubba's Fun Park and Forest City Golf Course. This 3-star bed & breakfast has 5 rooms and welcomes guests with free breakfast, free in-room WiFi, and free self parking. Free full breakfast is included with your stay. Quench your thirst with a drink at the bar/lounge. A TV comes with cable channels, and guests can stay connected with free WiFi. Beds sport premium bedding and the bathroom offers free toiletries and bathrobes. Other standard amenities include a coffee maker and an ironing board. Guests of The Firehouse Inn enjoy free WiFi in public areas, conference space, and wedding services. If you decide to drive, there's free parking. Staff members can help with accommodation requests, and provide front-desk service during limited hours. Free full breakfast is offered. The preferred airport is Asheville, NC (AVL-Asheville Regional): 54-min drive, 49.1 mi/79 km. Guests with plans to arrive after 7 PM must make arrangements in advance by contacting the property using the information on the booking confirmation.